Read on to download my NYFW-ready playlist and check out some of my fashion inspiration for this (frigid) week! Above: Love this detail shot from photographer Le 21eme/ Adam Katz Sindig. New York fashion week is almost here, and I can't wait for it to kickoff! It feels like there are so many things I have do to prep for the madness that awaits, so to get myself pumped for the good times ahead, I've put together a Fashion Week-ready playlist with the help of Wantering and Rdio that includes some of my favorite songs from Elizabeth Rose, Sky Ferreira, Tove Lo, Haerts and tons more. So whether you're pounding the pavement at Lincoln Center, or just planning on trolling Style.com for a few hours every night, I hope these jams will help you rock out even harder. Preview it below, or click through to Rdio to stream it all. Also, in light of the yesterday's snowstorm in NYC, I've been trolling some of my favorite street style sites for winter fashion inspo, and picked out some of my favorites for you above. These are perfect proof that wintry weather doesn't mean you have to sacrifice style, though I honestly might sacrifice myself if it doesn't warm up sometime soon. 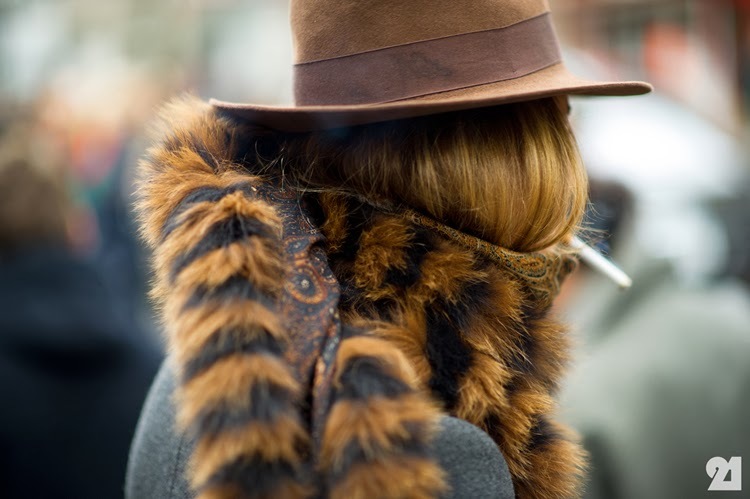 Image credits, from top to bottom: 1.The most awesome hat & fuzzy scarf, from Le 21eme photog Adam Katz Sindig/ 2. 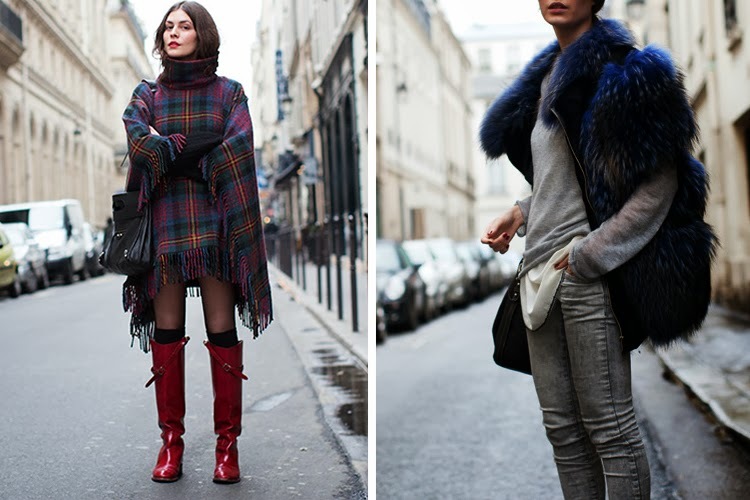 Colorful and awesome cold-weather cover-ups, from The Sartorialist/ 3. 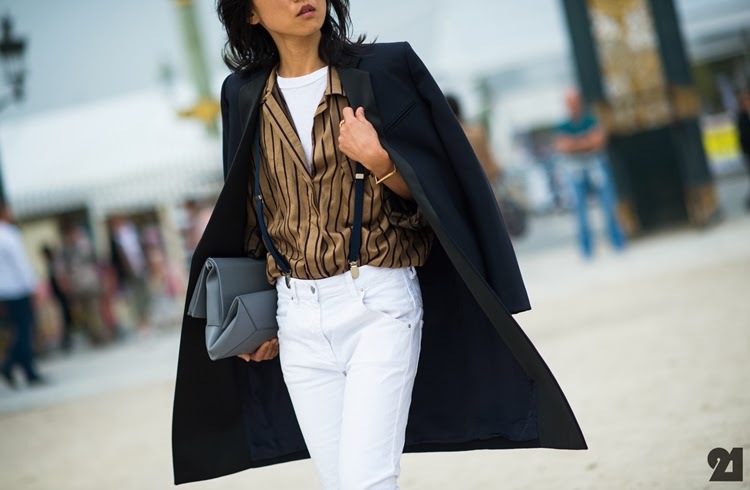 Borrowing from the boys in suspenders and a classic coat, from Le 21eme/ 4. Fun, eclectic street style from the StreetPeeper/ 5. Two ladies looking cool but keeping warm, from Le 21eme / 6. Sleek, sophisticated street style from the StreetPeeper. Yes all of this! Can we also keep our fingers crossed that we don't get those possible 30 inches of snow!!! i love the fur vest and patterned pants! great inspiration here Lauren !